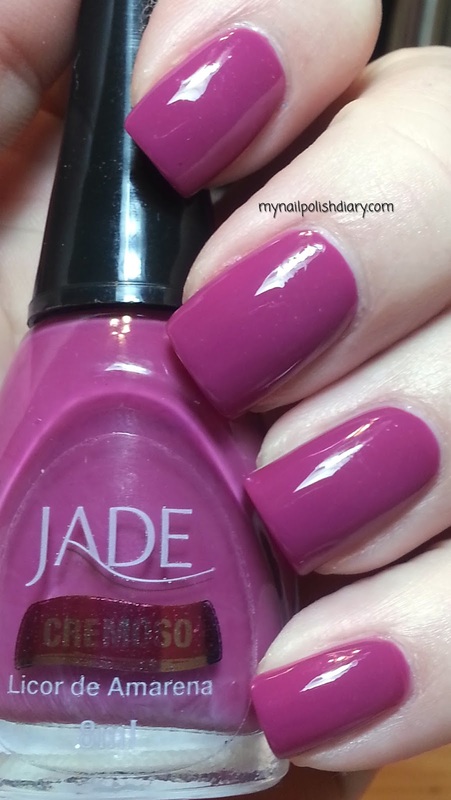 Jade polish is from Brazil and I'm lucky enough to have done a few trades with lovely Brazillian girls who were kind enough to find my wish list of Jade polish. I've also bought a few from Llarowe and Color4Nails. 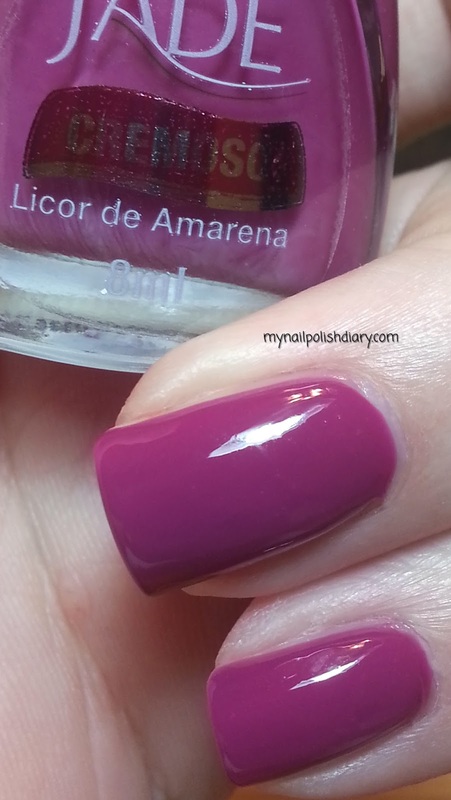 Jade Licor de Amerena is a berry purple crelly. It's that not really jelly but not quite creme either finish that is the best combo. Super shiny, a little squishy looking and opaque in 2 coats. Winner! Application was perfect. This is two coats with top coat. Jade has the cutest little bottles too. I love this brand!